On Sunday, January 23rd, our Lord called his servant Protojerej-Stavrofor Stevan Petrovich into eternal repose. He was 91 years old. Fr. Stevan was the spiritual founder and long-time parish priest of the Serbian Orthodox Church of St. Petka - "Vratnica" in Detroit. He was well-known among the clergy and the faithful for his fierce confession of Christ under Communist torture, his fiery sermons, and unwavering faith. May our God, Who manifested Himself on the river Jordan, receive the soul of His faithful servant priest Stevan into His Kingdom and grant him Memory Eternal! Funeral Service on Friday, January 28th, at 7 p.m. at St. Petka Serbian Orthodox Church-Troy, Michigan. Hierarchical Divine Liturgy on Saturday, Jan. 29th, at 9 a.m. followed by burial-interment. For the clergy: WHITE vestments. Protopresbyter-Stavrophor Father Stevan Petrovich had spent his whole life in preparing this defense he would give Christ. He entirely immersed himself in this prayer and so he passed on – with a peaceful conscience, painlessly, in his sleep – an hour after midnight, on January 23, 2011. In the final years of his life, when his family would ask him how he was, Father Stevan would answer, “I am waiting for my visa.” His soul was ready for the journey; he only awaited an invitation from the One Who called everything from non-being into being, and Who gives life eternal to all. As the greatest life achievement of Prota Stevan, the most often mentioned one is his key role in the building of the temple of St. Petka in Troy, Michigan, where the people from Fr. Stevan’s native village of Vratnica gather. This parish – for the founding of which he was the decisive factor and, by nature of his priestly service, the spiritual initiator – had covered a lengthy and weighty journey with him: from the small community in the chapel in Detroit, to the magnificent church in Troy with capacity for over 500 souls. Prota Stevan speaks of the building of the much more important temple within man himself, which makes him the dwelling of the Living God. Such a temple, not made by hands, but created by the grace of God, is the most important legacy of Prota Stevan. He built it up first and foremost within himself, and then in others as well, reminding them that the true Builder of the Holy is not man, nor his money and power, but God Himself, Who sanctifies all creation. Standing up against the cynicism of this age that doubts the existence of God, Prota Stevan tried to help others also to renew the neglected temples of their souls. Many contemporaries of Prota Stevan were not entirely aware of the greatness and value of the man who lived alongside them. According to the words of priest Kristijan Petrovich, grandson of the late Prota of blessed repose, Fr. Stevan was well known as a champion in reaping, a physically enduring man and an industrious farmer, but few in the village knew that he was also excellently versed in Latin and ancient Greek, being vastly educated and well-read. After his blessed repose, however, this God-kept secret begins to reveal itself – who was Prota Stevan, this colossus of a man, in both the physical and spiritual sense? Father Stevan was born around St. Marko’s day, 1919, in Vratnica village, in the Tetovo area, to the honorable family Misailovich-Petrovich, of father Kosta and mother Naca. Being the oldest son of four children (two brothers and a sister), he was supposed to stay on his parents’ estate. However, the Lord had foreseen something else for His servant. After he finished four grades of elementary school, it became clear to everyone that this child had great potential that should not be wasted in the village and farming life. The boy Stevan then finished elementary school in his native village and secondary grammar school in Tetovo. With the blessing of Archbishop Joseph, in 1935 he enrolled in the six-year Theological Seminary of Cyril and Methodius in Prizren. Fr. Stevan carried on with his studies with great sacrifices, away from his parents’ home, under strict discipline and in a demanding academic atmosphere. He graduated on April 29, 1941, at the dawn of the Second World War in that region, and upon returning home, he found that Skopje was under Bulgarian occupation, and the village priest of Vratnica was already in the service of Bulgarian propaganda. The Bulgarian authorities visibly hoped that this young, smart theologian, once the war ended, would also become a useful tool of their propaganda as a Bulgarian priest; however, Fr. Stevan clearly and defiantly demonstrated to them his orientation for Serbia and the Serbian Church. Prota Stevan got married in 1942 to Mitana Savich, from a respected Serbian family in Vratnica. They had three children: son Zlatko (1943), daughter Vida (1946) and son Vasko (1949). After the WWII ended, Fr. Stevan used his high education, great renown and influence with the people to expose the fallacies and misdeeds of the Communist regime. He sharply opposed the revision of history and the godless’ attacks on Svetosavlje and the Serbian name. For this reason, from 1945 to 1949 he was persecuted, imprisoned and intimidated. Finally, in the spring of 1949, he was sentenced to twenty-five years in jail and spent three years as a political prisoner in the notorious Idrizovo prison. There he endured daily beatings and hard physical labor. Many prisoners succumbed to the tortures and ended their lives in captivity. However, by the miraculous intercession of St. Petka, Father Stevan’s patron saint (krsna slava), who appeared to him in the dungeon and encouraged him, he endured all tortures glorifying and praising God. Under the pressure from the Western allies, Yugoslavia was forced to free all the political prisoners, so Fr. Stevan came out of prison, on November 29, 1953. From 1954 to 1956, he worked as a treasurer in a company in Vratnica. On the Feast of the Holy Archangel Michael, November 8/21 1956, Patriarch Vikentie ordained the theologian Stevan into the rank of presbyter in the Cathedral church of St. Michael in Belgrade. For the next ten years, as the parish priest of a number of villages in the Tetovo area, Fr. Stevan raised the people in the Orthodox Faith by evangelical word, and even more so by his personal example of humility, courage and virtue. The year 1966 brought new temptations with the announcement of the forming of an autocephalous Macedonian church. Father Stevan saw through the political background of these tendencies and, not wanting to be a priest of a schismatic and canonically unrecognized church, he decided to go to America. His daughter Vida, who already lived in Detroit with her family, helped him in this effort, along with St. Lazarus Church – Ravanica. Prota Stevan arrived in Detroit in 1967. Simultaneously working in a factory, he served as an auxiliary priest in a number of parishes: in Windsor and London (Canada), in St. George Church in Monroe and St. Lazarus’ in Detroit. In 1979, with the blessing of bishop Firmilian, the church-school congregation of St. Petka was founded, which gathered the old compatriots and parishioners of Prota Stevan, from Vratnica and the surrounding villages of the Tetovo area. In 1991, services began in the chapel in Detroit, while the cornerstone of the new church in Troy was laid in 2003. For the next fifteen years, until the end of his active priestly service, Prota Stevan served as the parish priest of St. Petka Church. Being exceptional in everything, he was more an exception, rather than a rule, so he also served these fifteen years without any monetary compensation, supporting himself from his factory pension, which he earned in the meantime. Prota Stevan was a living example to the contemporary man who is too touchy and quick to take offense. He forgave all who mocked him; he even on one occasion invited his old “friends,” who turned him over to prison in the old country, for dinner in his Detroit home. Truly, he was a real peacemaker who forgave his enemies, endured insults without complaining, at all times glorifying God’s name above everything. Prota Stevan fulfilled in his life every word of the Holy Gospel, and the words of the Psalmist were found to be true in him that he would see his “children’s children.” (Ps. 128:6) He lived to see eleven grandchildren and eighteen great-grandchildren. His extreme generosity is demonstrated by the fact that he was the first Serbian priest to donate his entire yearly salary from the factory for the building of the Saint Sava Temple in Vrachar. In addition, he was a great sponsor of the Serbian monastery Hilandar on Mount Athos. Toward the end of his active service, Prota Stevan’s health began to deteriorate fast, so that, in his own words, he was relieved and joyous to be replaced in his priestly service by his grandson, Kristijan. 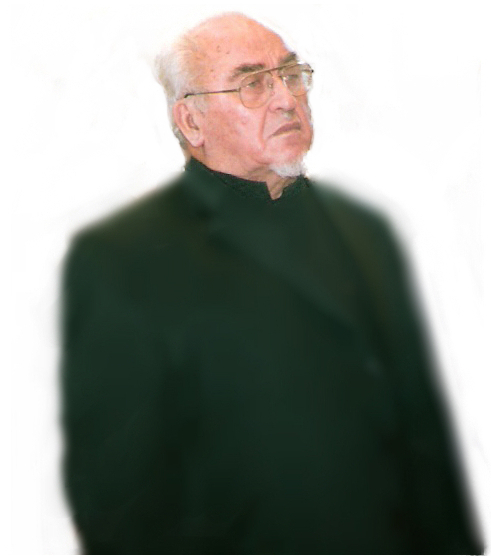 He retired as rector in April 2005. It was God’s will that Prota Stevan should suffer in life, but also, due to health reasons, to never have the opportunity to serve in the big temple of St. Petka which was built through his merit. The ways of the Lord are unfathomable for the human mind, and God Himself knows why it was so. Prota Stevan personally always fled human praise and considered it as dust. In his last years, he was all but forgotten by those who were most indebted to him. However, “a city on a hill cannot be hidden.” (Mt.5:14) His blessed repose and funeral, which, according to the words of one person, was worthy of a king, revealed to the world the depths of his dedication to God and the Holy Church. His Graces, Bishops Longin and George, at the invitation of the family, served the Funeral service on Friday, January 28, 2011, in the church of St. Petka. There were as many people in the church as can only be seen on Easter. Ten priests served with the bishops, and three more attended the service. After the funeral service, bishop Longin gave a eulogy, inspired and touched by the throngs of people that poured into the church to give the last kiss to their longtime parish priest and spiritual father. The family of the late Prota of blessed repose prepared a meal for the clergy and the people in the temple vestibule. Priest Kristijan, who with great love washed and vested his grandfather’s body and prepared it for the funeral, spent the entire day and night by Fr. Stevan’s coffin in church, reading the Gospels and Psalms with two other pious parishioners. In the morning, bishop Longin served the Divine Hierarchical Liturgy with five priests and a deacon, and the responses from the St. Petka choir. In spite of the snowstorm that hit Metro Detroit during the night, the church was packed with people once more. His Grace saw Prota Stevan off at the cemetery, but unfortunately could not stay for the luncheon, which the family had prepared in the hall of St. Lazarus church, and where about 350 people attended. Memory Eternal to our father, grandfather, great-grandfather and spiritual elder, Protopresbyter-Stavrophor Stevan Petrovich, and God grant him the Heavenly Kingdom unto ages of ages! Amen. P.S. Many thanks to priest Kristijan Petrovich and Zlatko Petrovich, grandson and son, respectively, of Prota Stevan, for the biographical details used in this article.